Traditionally, the process of getting a new dental restoration (most likely a crown) was expected to require at least two appointments – one for impressions and designs, and another for the final placement once the patient’s chosen dental office had received the finished product from their dental laboratory. Unfortunately, this span of time can feel like an eternity when you’re already struggling with a smile that isn’t at its best. At Premier Family Dental, we know that speed is important to many of our patients, and we want to be able to accommodate their busy schedules without sacrificing the quality their smiles deserve. That’s why Dr. Cofer now uses revolutionary CEREC technology! With this technique, our team can complete every stage of the restoration process in just one appointment – no waiting required. Please contact our Central Texas office today if you have any questions, or if you’re ready to schedule your first appointment. Digital Impressions –After our team has carefully examined the tooth and determined the proper treatment, we will prepare it for restoration and coat it with a safe powder. Then, a state-of-the-art digital camera creates an accurate and no-contact impression. Computer Aided Design (CAD) – Dr. Cofer will then use the impression in conjunction with advanced software in order to customize every precise detail of your new dental crown or other restoration. In-Office Milling – Once we’re satisfied with the final design, this information is transferred to our on-site milling machine, where a block of dental ceramic is waiting to be sculpted into a lifelike replacement. Final Placement – Once the milling unit has completed its process, Dr. Cofer will take the new dental restoration and make any final adjustments to ensure the perfect fit before cementing it in place within the patient’s smile. What are the Benefits of Choosing a CEREC Restoration? Because we use digital impressions, patients won’t have to worry “goopy” impression materials that feel uncomfortable in the mouth. We use revolutionary ceramic materials in order to ensure a natural-looking and beautiful result that you’ll feel proud to show off. 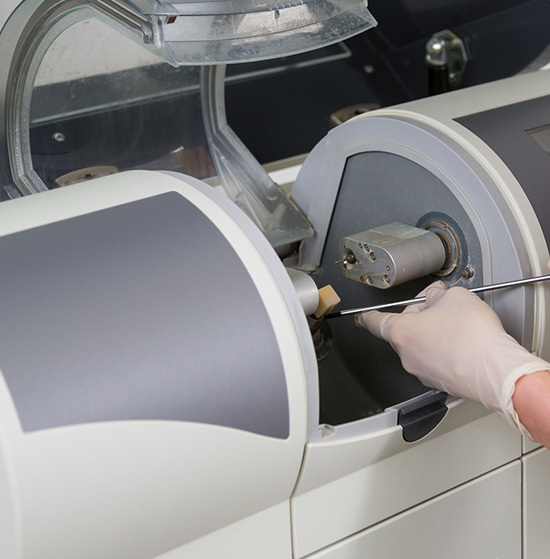 Our CEREC materials are also free of metals and 100% biocompatible with your body for a safer, more comfortable final result. Because the new restoration is milled from a single block of material, it’s more resistant to potential cracks and fissures. Its durable nature can serve patients well for 5-15 years or even longer. There is no temporary restoration required with CEREC, which means that patients won’t have to make time for a second appointment. Patients can look forward to a speedier recovery time and less dental sensitivity than if the tooth was restored after a longer period of time.